We call this the “first look”. You get to know us and our team. We want to be thorough in our exam. Everyone needs different types of exams done. We don’t want to do any more than we have to or any less than you need us to do. Please let us know if you have any current records from a previous dentist. Sometimes, depending on your needs, we can go ahead with the necessary records at this “first look” appointment. If you’re coming from a distance we will plan ahead to get the necessary records at this appointment. 1. 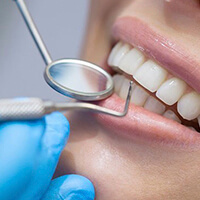 At this appointment we find it important to evaluate the teeth, the tissues and the TMJ’s. 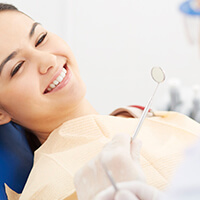 Our goal is to help every patient achieve DENTAL HARMONY. We define DENTAL HARMONY as functional, aesthetic, and biologic harmony of the teeth, the tissues and the TMJ’s. 2. For patients needing AESTHETIC dentistry we do a functional-aesthetic preview. 3. Bite evaluation. 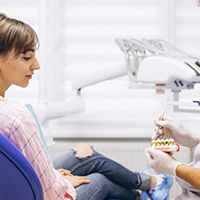 Functional harmony of the bite is a necessity for keeping teeth a lifetime. 1. Go over the findings from the necessary records. 2. Discuss any risk factors. 3. Answer any questions concerning any necessary treatment. Proceed with any necessary treatment.